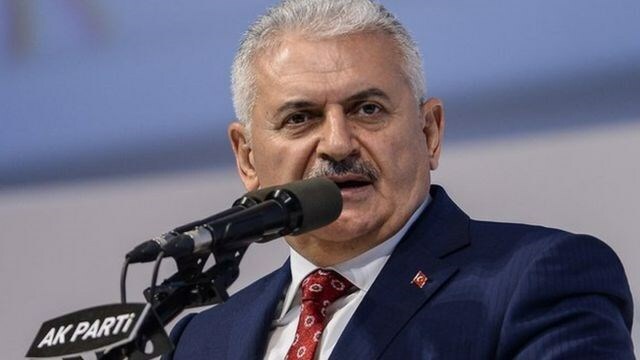 Hanoi (VNA) – Turkish Prime Minister Binali Yildirim’s official visit to Vietnam from August 22-28 is a chance for the two countries to seek measures to beef up and deepen the bilateral partnership in trade, investment, science-technology, transportation, education-training and other fields. The visit takes place when the ties between Vietnam and Turkey are growing soundly, with regular exchange of delegations and many cooperation agreements signed in trade, science-technology, agriculture and security. Vietnam and Turkey set up diplomatic relations on June 7, 1978. In February 1997, Turkey established its embassy in Hanoi. In October 1999, Vietnam opened a Trade Representative Office in Istanbul and in July 2002, Vietnam launched its Consulate General, also in Istanbul. The Consulate General was upgraded to an embassy and moved to Ankara, the capital city of Turkey, in October 2003. Turkey is the leading trade partner of Vietnam in the Middle East. Last year, two-way trade reached 1.51 billion USD, with Vietnam earning 1.36 billion USD from exports to Turkey. Currently, Turkey firms are running 15 projects worth 704 million USD in Vietnam, ranking 26th among foreign investors in the country. In June 2016, the Turkish Airlines opened an air route connecting Hanoi and Istanbul through Ho Chi Minh City with seven flights per week. Earlier, the two countries signed agreements on aviation, maritime transportation and double tax avoidance. At the seventh meeting of the Vietnam-Turkey Joint Committee on economic and trade cooperation in Hanoi on July this year, the two sides agreed to support each other at international and regional forums, while strengthening the exchange of delegations at all levels and expanding foreign relations activities to raise trade revenue to 4 billion USD in 2020.